Increase their Bench Press by at least 150 lb. Increase their Power Clean by at least 140 lb. Increase their Squat by at least 235 lb. Increase their Standing Long Jump by at least 7 ½ in. Decrease their Forty Yard Sprint by at least .2 of a second. All we ask for in return is a Serious Commitment to Uncommon Greatness and Total Dedication to the Band of Cavaliers. 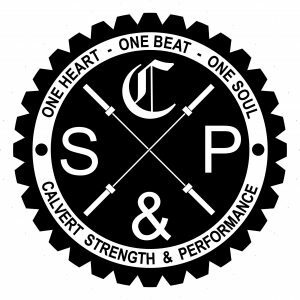 The Calvert Strength and Performance Department prides itself on its ability to produce the greatest results in the shortest amount of time. We also value the role we have in developing the character of our young athletes. We are just as deliberate in our attempt to promote positive characteristics; that contribute to responsible, determined, courageous, selfless, and hard working, well rounded young people. In the end, we find that our athletes enter the game of life not just physically prepared to compete, but mentally and spiritually. They are sharp, tested and battle field ready!